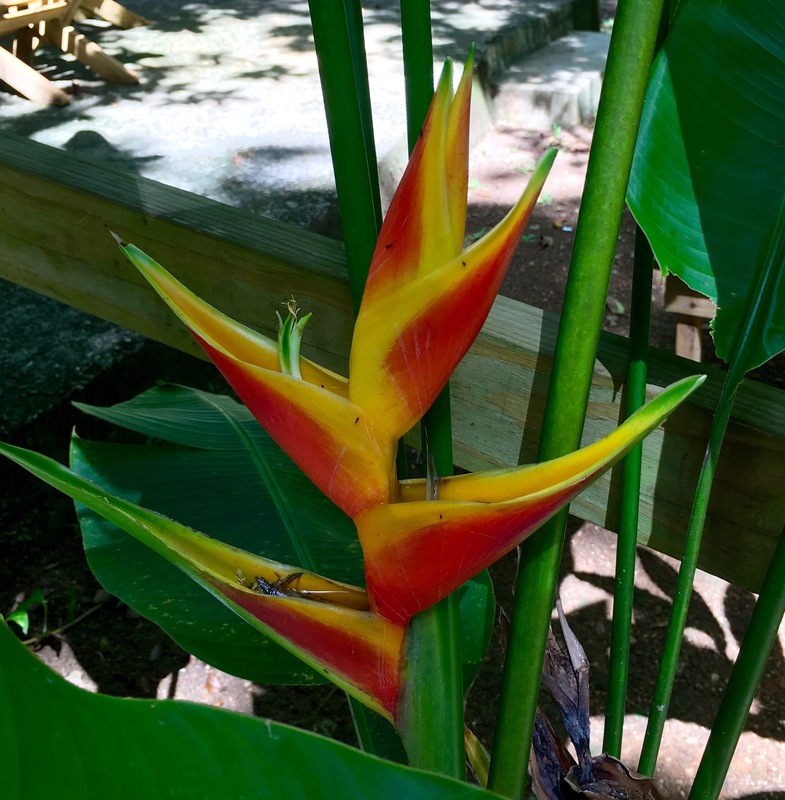 I think this flower is a Heliconia; the photo is from last year’s trip to Jamaica the day we took Infirmary residents to Irie Beach (which is actually a river). I continue to be amazed by the variety of flowers in nature. Due to the shape of these flowers, pollination is mostly limited to hummingbirds. We believe the design of the universe points to the Creator. I can think of few better examples!